Boston Red Sox are an American professional baseball team based in Boston, Massachusetts. The Red Sox compete in Major League Baseball (MLB) as a member club of the American League (AL) East division. The Red Sox have won eight World Series championships and have played in twelve. Founded in 1901 as one of the American League's eight charter franchises, the Red Sox' home ballpark has been Fenway Park since 1912. Do you wear watches ? – and what about smart watches ? Apple Watch is a line of smartwatches developed, designed, and marketed by Apple Inc. It incorporates fitness tracking and health-oriented capabilities with integration with iOS and other Apple products and services. The original generation of the device was available in four variants: Apple Watch Sport, Apple Watch, Apple Watch Hermès, and Apple Watch Edition; each distinguished by different combinations of cases and first- or third-party interchangeable bands. Apple Watch relies on a wirelessly connected iPhone to perform many of its default functions such as calling and texting. It is compatible with the iPhone 5 or later models running iOS 8.2or later, through the use of Wi-Fi or Bluetooth. Announced by Apple CEO Tim Cook in September 2014, the device was released in April 24, 2015. The Apple Watch quickly became the best-selling wearable device with the supply of 4.2 million smartwatches in the second quarter of the 2015 fiscal year. Remember that WC match way back in 1999 – the scored card reads : India 253-5, South Africa 254-6. South Africa win by four wickets. For those of us with some good memory, this match would be remembered for the controversy sparked by South African captain Hansie Cronje by wearing an earpiece to take instructions from coach Bob Woolmer in that match at Hove. A row broke out as Saurav Ganguly marked his 100th one-day international by hitting 97 to take India to 253-5 from their 50 overs. In between it was found that the SA Captain was having a wearable device taking instructions from the coach. Match referee Talat Ali intervened and asked Cronje to take out the device, which linked him to South African coach Bob Woolmer, after Sky TV pictures had focused on it. The International Cricket Council was outraged by the episode and made its views clear to South Africa in a terse statement. 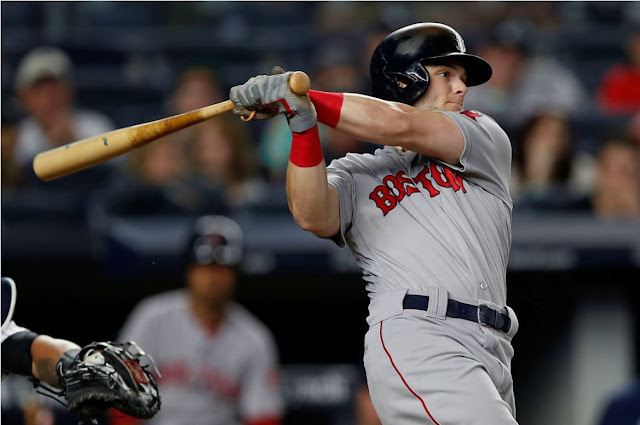 Now comes the news that the Boston Red Sox used an Apple Watch illicitly to gain the upper hand in a recent game, a Major League Baseball (MLB) investigation has reportedly found. According to the New York Times, the Red Sox used the device to receive messages about what kind of pitch was about to be thrown. That information was then relayed from the dug-out to the batter - giving him an advantage !! It is unclear what kind of punishment Boston’s beloved team might receive following the investigation. The team is currently top of the American League Eastern division. MLB did not return the BBC’s request for comment, nor did the Red Sox or the New York Yankees - the team whose complaint provoked the probe. The Yankees provided video from a three-game series that took place in August. In baseball, the catcher, crouched behind the batter, will signal to the pitcher what kind of ball should be thrown, such as a fast ball or slider. Typically, the catcher will hold up a number of fingers to relay that message. These signals - known as signs - would be very useful to the batter if he could see them, but he’s looking in the other direction, using only the pitcher’s posture and grip for guidance. Stealing signs, as the practice is known, involves a team member seeing the opponent's signal and somehow relaying that information to the batter in the short window before the ball is thrown. The MLB investigation found the Red Sox would have an off-field person watching a camera feed of the catcher. He would then contact the dug-out via the Apple Watch, and that signal would be passed on from the dug-out to the batter. The New York Times report said MLB will now look to see if the Red Sox had used the technique in other games. Stealing signs by analogue means - such as a team mate at second base seeing the catcher and revealing the signal to the batter opposite - is legal. But using a devices such as binoculars or electronics to aid the process is not. Teams have long used ingenious ways to steal signs, including in 1951 when the New York Giants’ Bobby Thomson hit a World Series-winning home run, a hit later dubbed the “shot heard round the world”. It was revealed some years later that the Giants had a team member in the club house opposite using a telescope to spot signs. I don't know if baseball was one of the sports that Apple originally targeted when it created the Apple Watch, but it has nevertheless found a home there, according to the New York Times. Victimized teams include the New York Yankees, whose general manager filed the complaint with the league. At issue are the coded signs that catchers send pitchers during games. The Yankees apparently believe that the Red Sox had been stealing those signs and were using Apple Watches as a way to discreetly pass that information on to their players. After all, it's easier to hit the ball if you have a good idea where to find it. The Red Sox have now, in turn, accused the Yankees of the same crime of sign stealing. The Sox claim that the New York team uses a camera from its in-house TV network (YES) specifically for this task. This isn't the first time a wearable device has been at the center of a cheating controversy, but this baseball kerfuffle will have a much higher profile than the case of the marathon runner we reported on earlier this year. It keeps one wondering, though: where else are people using smart watches or wearables to cheat? Casinos are probably safe until the next big breakthrough in augmented reality ~ and it has not spilled on to teh Cricket field by now !